Netflix announced today that it’s teaming back up with Martin Scorsese, with the prolific filmmaker embarking on a documentary special focused on the rise and legacy of Canadian comedy institution SCTV. Scorsese, presumably, was drawn to the project because of his well-known love of cult comedy, and also the fact that he and Eugene Levy now appear to have the exact same eyebrows and hair. 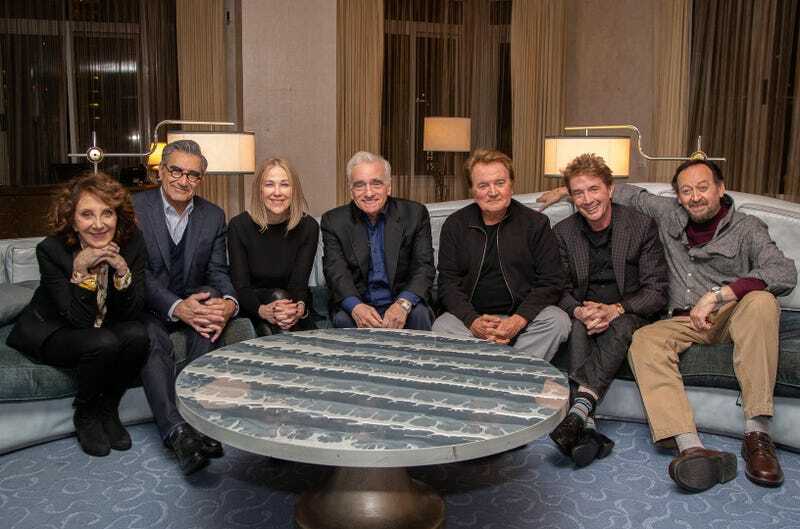 In addition to the special itself, Scorsese is also organizing a live panel discussing the show’s history, featuring stars Joe Flaherty, Eugene Levy, Andrea Martin, Catherine O’Hara, Martin Short, and Dave Thomas, and moderated by Jimmy Kimmel. (We might hope and pray for a little Rick Moranis, too, but such dreams are obviously folly.) Parts of the panel will be incorporated into the special proper, which has yet to set a release date. Running for six seasons on Canadian TV, SCTV helped launch a number of high-profile comedy careers, including Short, Levy, O’Hara, John Candy, and Harold Ramis. Offering up a distinctive brand of dry satire and pop culture spoofing—not to mention teaching an entire generation of comedy fans the term “hoser”—the show remains an enduring classic in the evolution of sketch comedy on TV, something Scorsese’s new special will hopefully shed a little extra light upon.